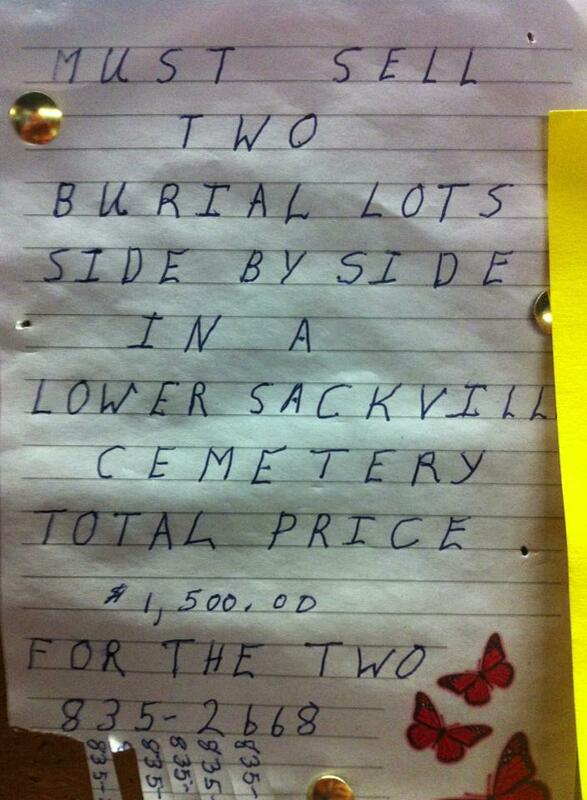 Anyone Looking To Get Buried In #Bagtown? Here Ya Go! | Sack-Vegas!!!! Anyone Looking To Get Buried In #Bagtown? Here Ya Go! Maybe not a conventional way to sell a couple holes in the ground but hey-whatever works! “Come to Sackville and stay a while”. Posted by Sacky on August 27, 2013 in Ramblings And Foolisness. It’s an 835 number…….moved to Bedford and now living the dream but forgot their Sackvegas roots!! And they wonder why we beat them up as kids? It’s an 835 number…….moved to Bedford and living the dream now, and forgot their SV roots. And they wonder why we beat them (Bedford snobs) up as kids?